As trans health care shifts towards a nostensibly affirmative model, how has it actually foreclosed the depathologization of trans childhood? 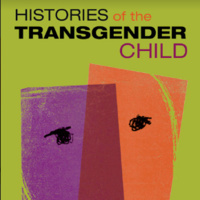 This talk explores the histories of trans children and their interactions with medicine during the twentieth century. Paying attention to how the invention of gender and the medical model both relied upon a racialized concept of children’s presumed plasticity, the political project of depathologizing and defending trans childhood today is reframed as a question of racial justice. The USC department of American Studies and Ethnicity Race, Gender, and Sexuality research cluster invites you to join us for a talk entitled "Depathologizing Trans Childhood: Racial Justice and the History of Plasticity" with Julian Gill-Peterson, Assistant Professor of English and Gender, Sexuality, and Women's Studies at the University of Pittsburgh.